Don’t tug on Superman’s cape. Don’t piss in the wind. And whatever you do, do not drink Booker T’s Red Bulls! Locker rooms shared by professional wrestlers are founded on the concept of locker room leaders and having respect for the veterans of the business who paved the way. If you’re just starting out on the active roster, it’s best to be respectful and show proper locker room etiquette. As with any career, you pay your dues, you earn your stripes and you earn respect by being a hard worker and a considerate, reliable individual. If you ask a veteran to watch your match that night, you listen to their advice and use it to better yourself. Never forget to shake hands with everyone you encounter backstage. Be thoughtful and develop positive relationships with backstage personnel and crew members who are on that same road with you each week. And with each show, there’s catering set out for the crew. The same old song and dance for each show, you fill up your plate with protein, carbs and the occasional dessert. If there’s a community ice bucket filled with bottles of water and Gatorade, it’s likely encouraged that you may take one. But if you see two cans of ice cold Red Bull accompanying the rest, do not even think about grabbing them! Booker reserved a section of his autobiography, “My Rise To Wrestling Royalty,” to discuss how the short-lived tag team The Gymini (Mike and Todd Shane) drank those two cans because they thought it was a community cooler for the locker room. 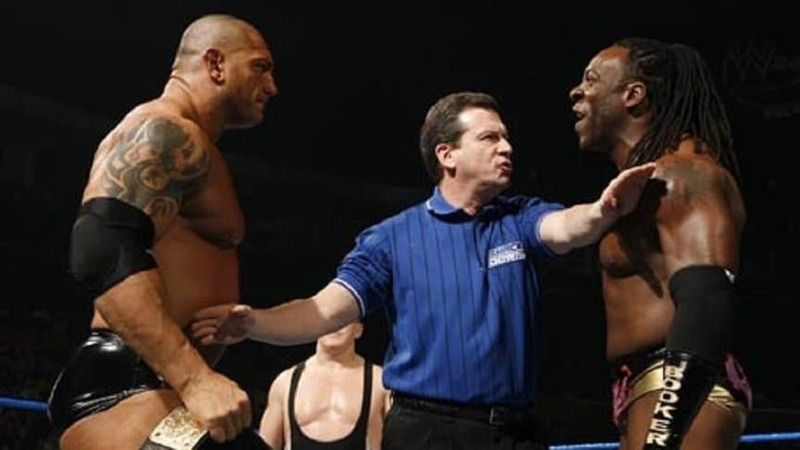 Booker T has a legendary resume which includes being a five-time (five-time!) WCW Champion, a WWE Hall Of Famer and continues to pass on his knowledge to the next generation with his Texas-based promotion Reality of Wrestling. 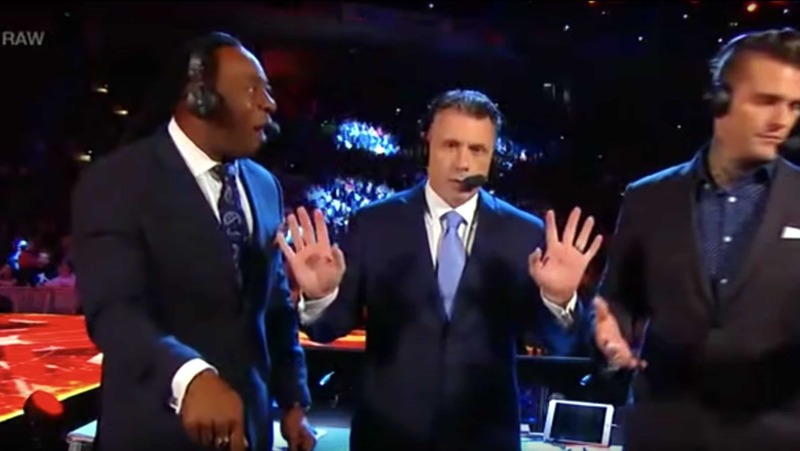 Whether he’s been backstage as a competitor or in recent years, on the commentary team, anyone who likes their job and hopes to stay with the company knows to be respectful of the seasoned veterans. 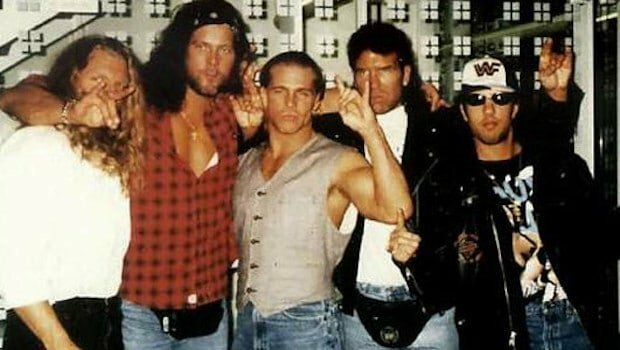 When traveling from town to town, the roster meets at the arena before that night’s show. Sometimes it’s a more casual and laid-back live event and sometimes it’s a grueling day of television. Imagine that you made it through a fifty, sixty hour work week and you’re looking forward to a moment of comfort in those last few beers in the fridge or the leftovers that you were set on eating but you find them gone because someone consumed them. You would be rightfully fuming. They were Smackdown’s newest tag team at the time and they still had some things to learn about handling one’s self in a backstage environment alongside not only Booker but other legends including Kurt Angle and The Undertaker. 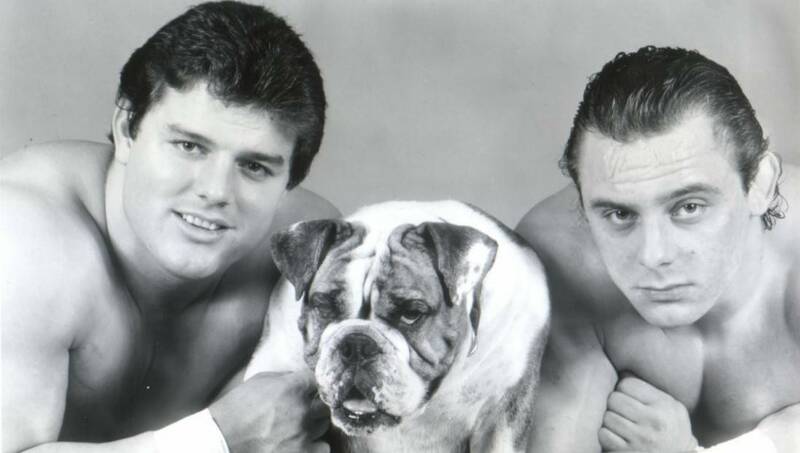 Despite being Simon Dean’s muscle and brick powerhouses on television, the twins displayed a deep showing of remorse in the aftermath of taking Booker T’s Red Bulls. They say you can’t change what you did, but you can learn from it and you can respond to what you did wrong by choosing how to handle the situation directly after. Though their stint in the WWE was short-lived, The Shane brothers handled themselves well in this instance. Being on the road three hundred days a year, you develop a certain bond. Trust and respect can take years to earn and can vanish just like that if you’re not wise about what you do. If you don’t show respect, you may be shown the door. 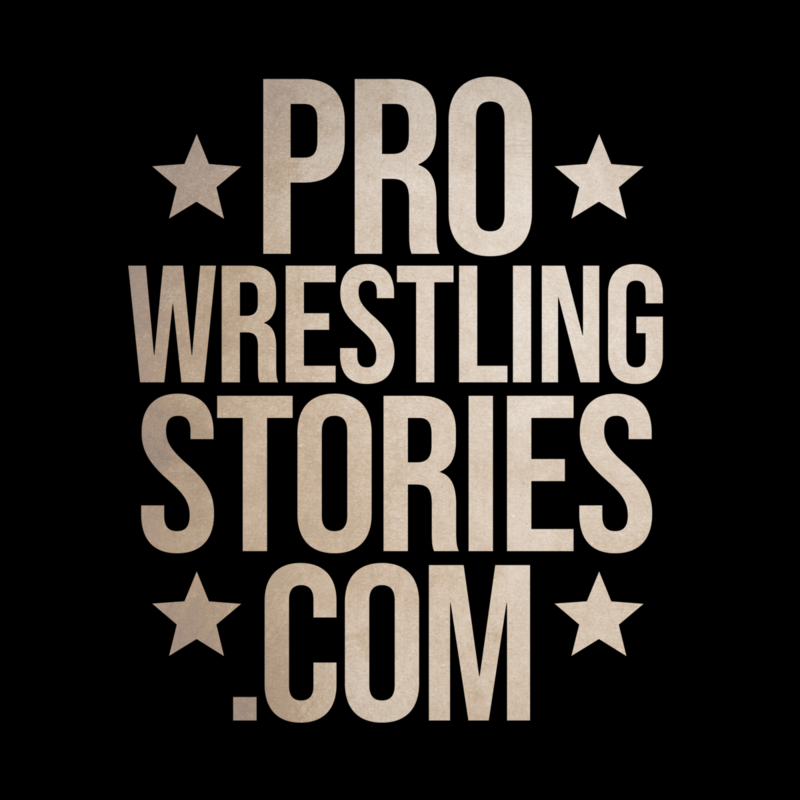 The world of social media and podcasting has opened eyes and ears to more discussions and stories regarding Booker T and his Red Bulls. MVP and Ken Anderson have discussed this on their respective podcasts. Shane “Hurricane” Helms has said on more than one occasion on Twitter not to drink Booker’s Red Bulls if you know what’s good for you. Even the Undertaker himself has referenced the cold, refreshing cans of wing-delivering energy. So if you happen to be backstage as an extra or in any capacity and Booker T happens to be backstage that night, do NOT drink his Red Bulls!